Did you know April is Grilled Cheese Month? Well, it is and I am allllllll over celebrating! I knew I wanted a nice grilled cheese tonight after studying in the law library. Where did I decide to go? Obviously I went to Clementine. 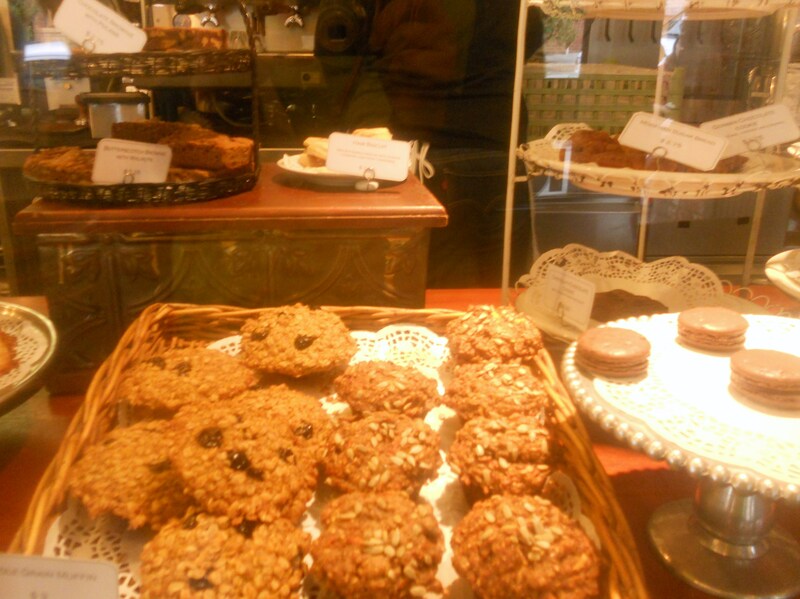 For reasons I cannot disclose I am unable to use my kitchen until tomorrow so I basically had to go to Clementine. Clementine has 10 grilled cheeses on their menu right now. 4 are on the menu all month and then they have a rotating list of other special grilled cheeses to enjoy! Obviously, I didn’t dine alone. 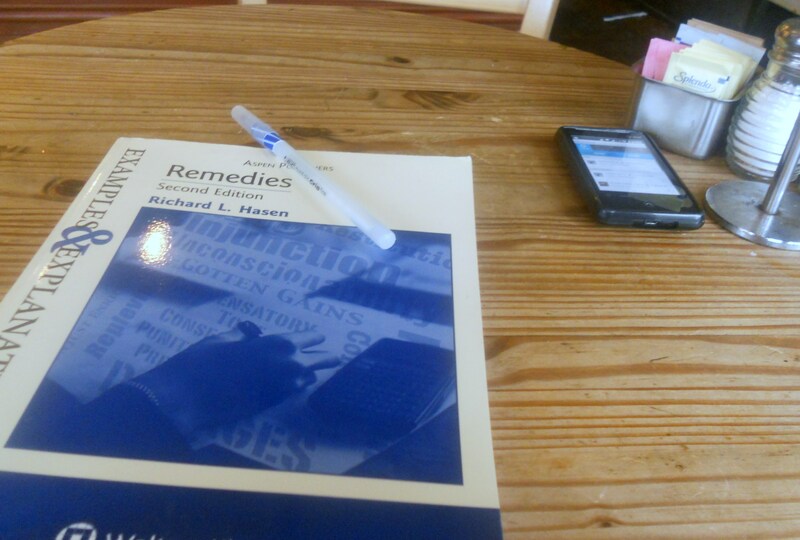 Did you know you’re never alone when you have books? Sorry. I couldn’t help myself. 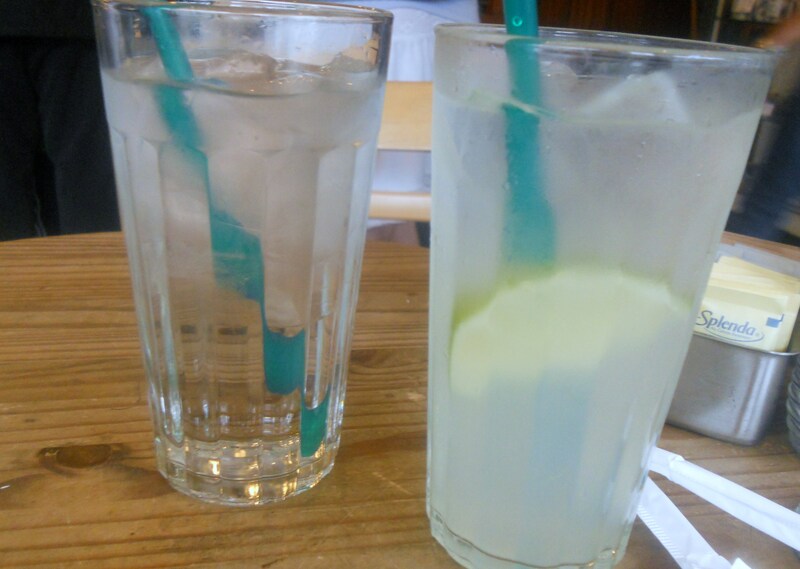 I ordered a ginger lemonade and had a water. I took yoga this morning and it seriously kicked my boo-tay. My muscles are already sore from today’s class! With a 10 miler tomorrow I need to rehydrate. Soon enough my grilled cheese arrived. 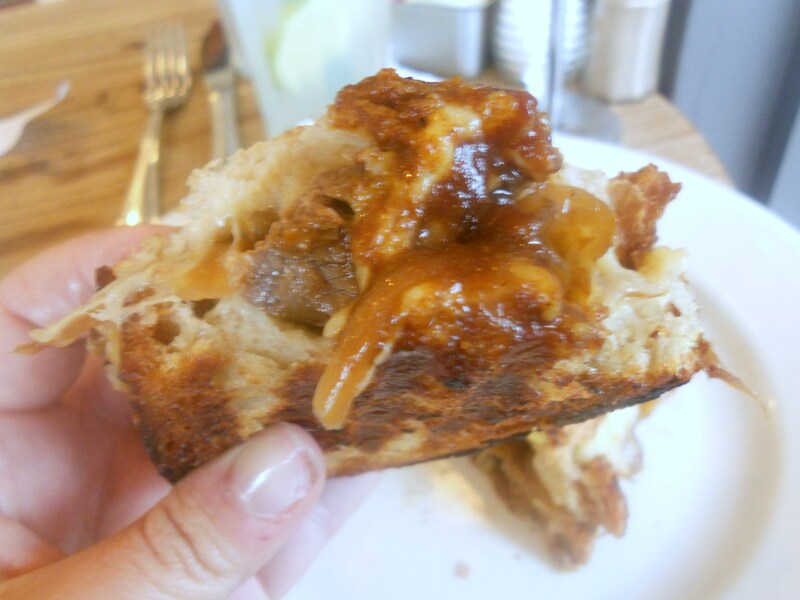 The Hudson’s Deluxe French Onion Grilled Cheese. 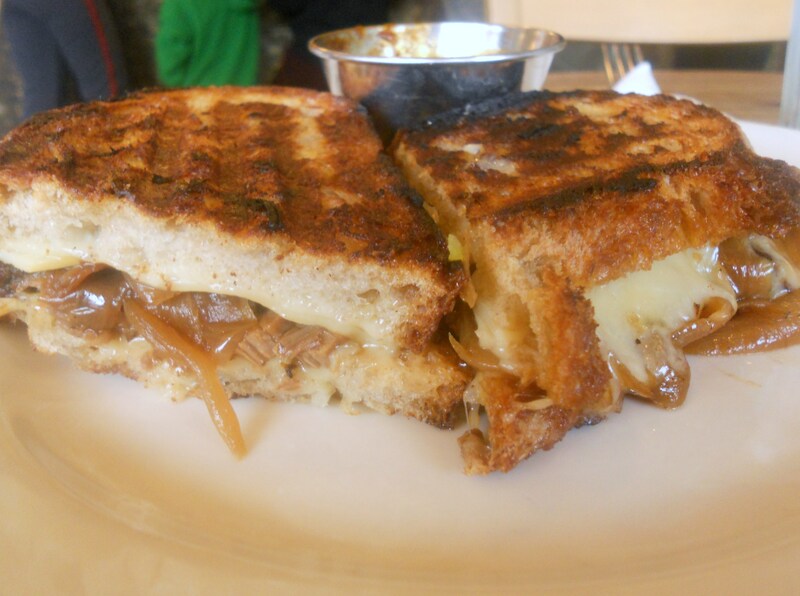 This bad boy is Gruyere and caramelized onions with braised brisket and dipping jus on wheat levain. You had me at caramelized onion and braised brisket. This sandwich was impeccable. The bread was crispy, the Gruyere was perrrrfection with the onions. 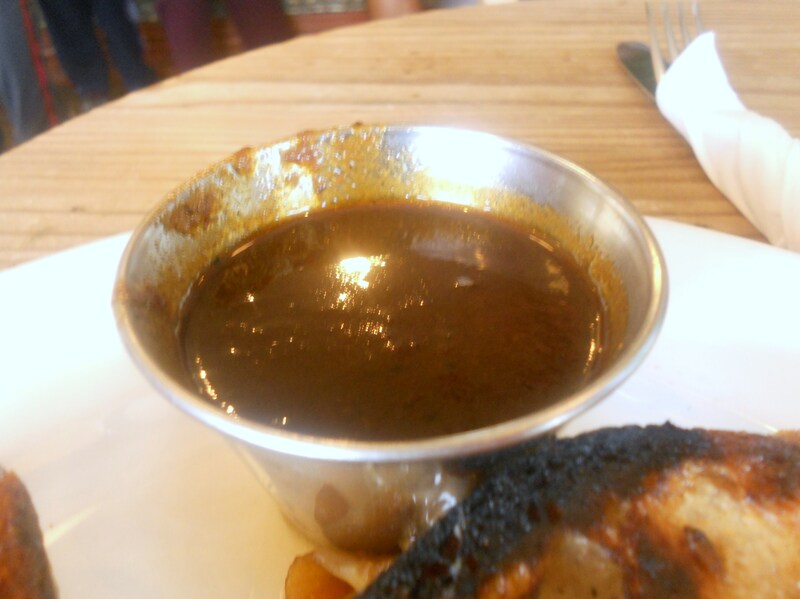 The sandwich on its own was fantastic but when dipped in jus? Amazing. I wish I had better adjectives for this meal but if you can get to Clementine in time to get special grilled cheese you should. Is it possible to leave Clementine without picking up a cookie? I wouldn’t know. 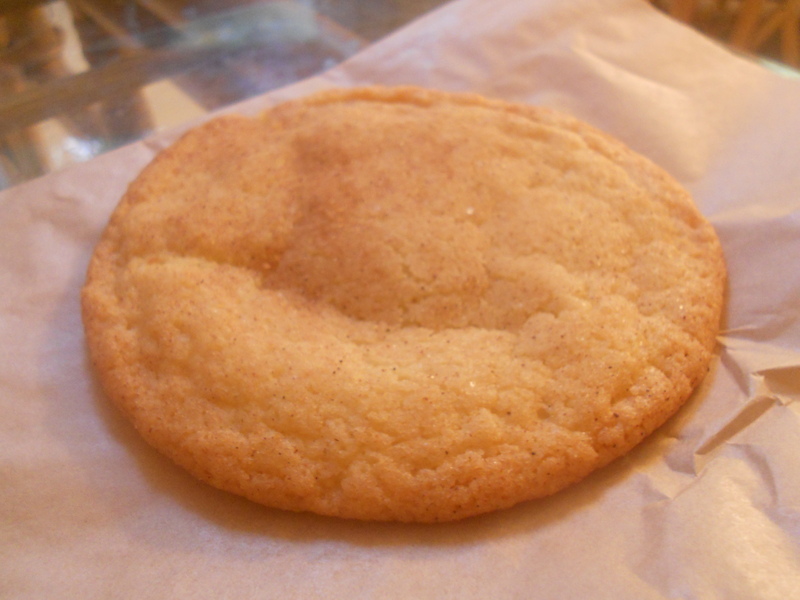 The cookie was snicker doodle btw. Today was an exciting day for many reasons. I got a record breaking three packages in the mail. 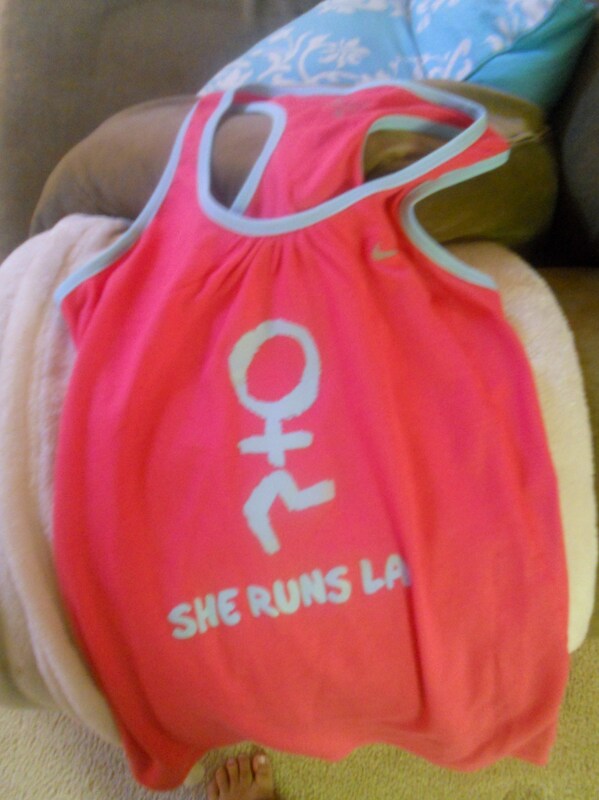 First I got my race T for She Runs LA! I pretty much only run in Nike Dri Fit (because it wicks seat like a champ) so I was very excited to get this hot pink racer back top. I plan to rock it on my 10 miler tomorrow! Tina’s blog was the first one I started reading. 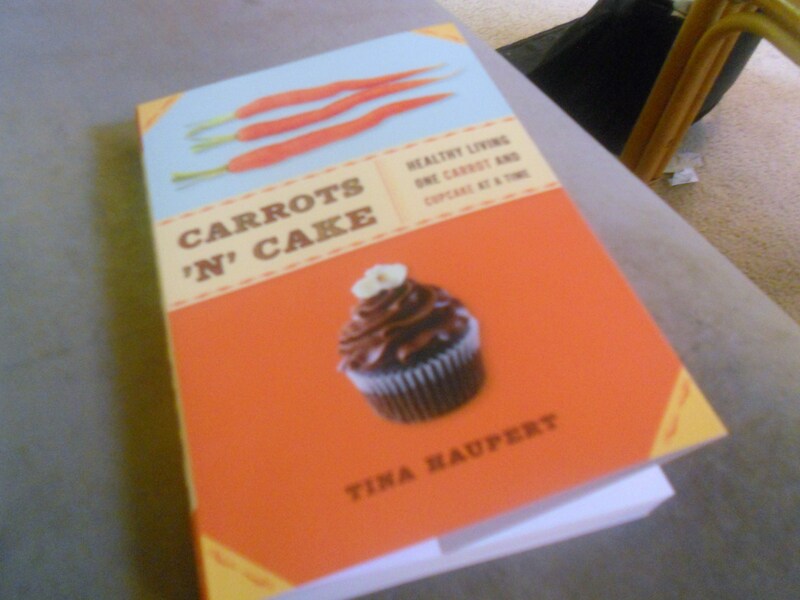 I was introduced to it by my good friend Carolyn in January 2010 when I started my weight loss journey. I really identify with Tina’s story and I love her philosophy towards eating. 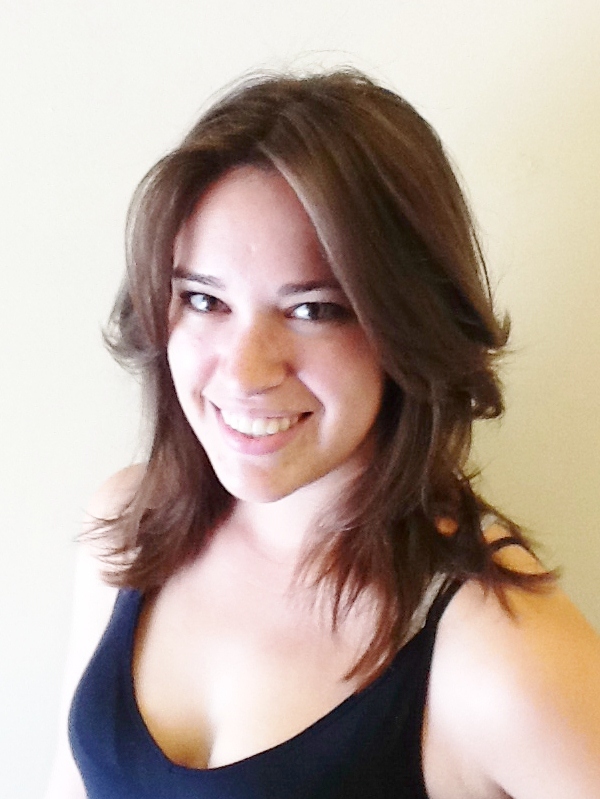 Tina is all about eating healthy things with tasty splurges and staying active. She lost about the same amount of weight as I did in about the same time frame. I cannot wait to read this book before bed tonight! What books are you dying to read or can you recommend? After finals I am going to make a reading list for the summer and I need good suggestions! Deep thinkers and fluff are welcome! 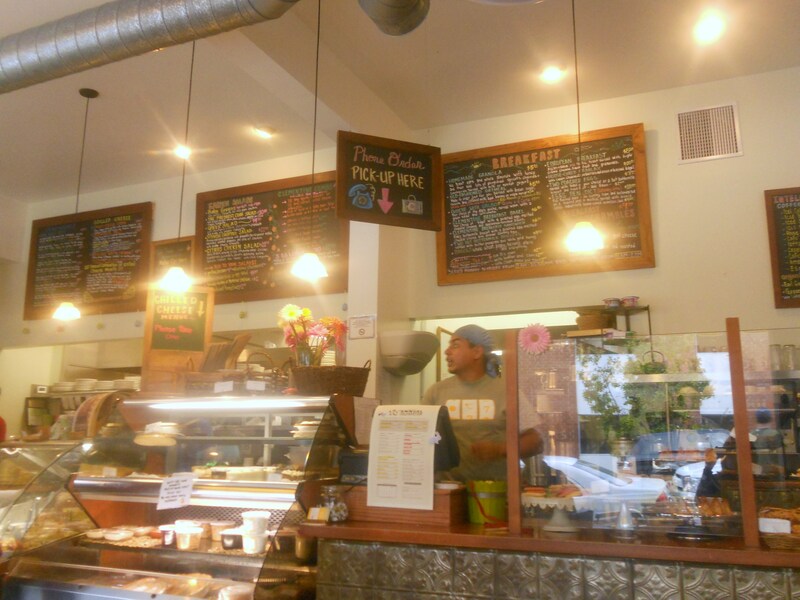 Wow… I think that grilled cheese is worth the drive to LA! I LOVE caramelized onions and gruyere!! Good luck on your 10 miler tomorrow- I’m right there with you! oh grilled cheese how i miss you….damned lactose intolerance! if you like historical fiction, i suggestion anything by phillipa gregory. she’s the one that wrote the other bolyn girl. her series is freak’n amazing! 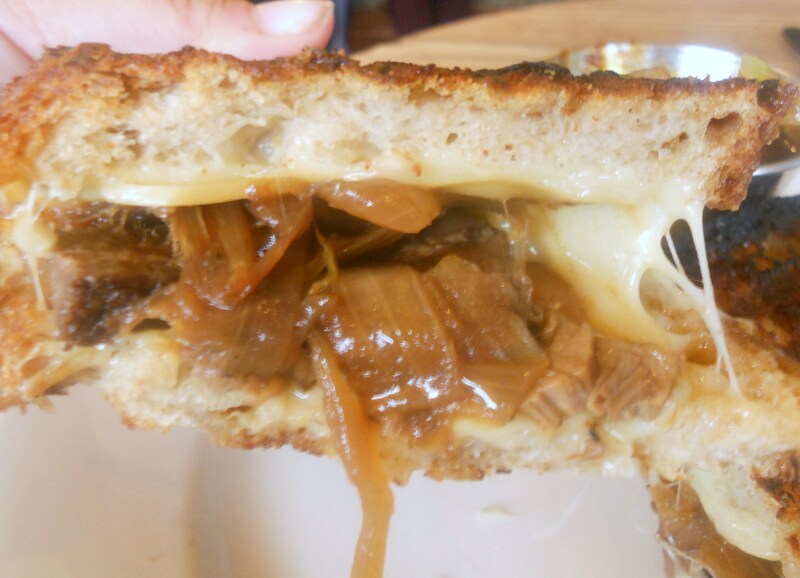 That grilled cheese….there are no words!